Gisele Bündchen’s admission that her husband, Tom Brady, “does have concussions” cuts right to the NFL’s biggest problem with head trauma: There is no way to protect the players. Going back four years, Brady has never been listed on an injury report with a head injury. It’s tempting to think the Patriots were being deceptive—Bill Belichick is notorious for playing games with injury reports—but the more likely explanation is that Brady never alerted the team to any kind of brain-injury symptoms. He’d be far from the only player to do this. Football’s mentality frequently encourages players to play through pain. Even with all the information about head trauma that’s now available, why would a player be expected to handle something like headaches or vision problems any differently? Understand: The NFL’s current concussion protocol is a light-years improvement over past practices, even if the league’s attempts to enforce that protocol have been self-serving and at times downright evasive. But a general objective truth about brain injuries is that there’s a difference between a concussion—when the brain smacks the skull as it does on just about every head impact in football, even for quarterbacks, who may not take more than a few of them per game—and post-concussion syndrome, which is a very specific set of symptoms that can linger for days, weeks, or even months. Brady has been sacked 115 times the last four seasons, and he’s been hit many more times than that. 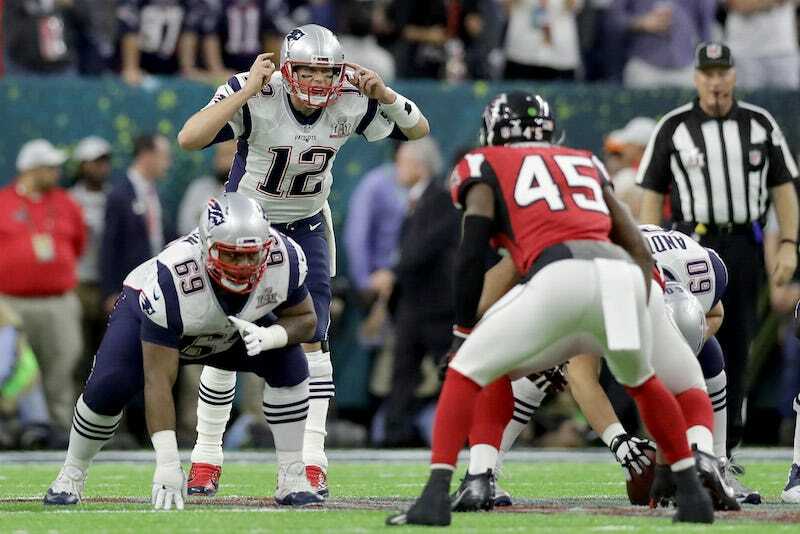 The protocol, with its reliance on spotters and independent neurologists, exists to address those instances in which players like Brady take obvious hits to the head, in addition to the presence of a variety of symptoms that cannot be ignored. But head injuries resulting from the game’s constant violence—the sub-concussive, brain-rattling blows that occur on every play, or the sudden stops of helmet meeting turf—are trickier to detect, and it’s not unusual for symptoms like headaches to manifest themselves a day or more after the fact. Gisele’s admission revealed nothing nefarious about Tom Brady or the Patriots. It was just another reminder of the inevitable consequences of playing football.